Our new eco-friendly Mineral Paper Bouquet Sleeves and Sheets (shown above) are available in plain brown kraft or white, either as a 20 x 28″ sheet or a 4 x 18 x 17″ sleeve for extra versatility. Water-resistant, strong, eco-friendly, and made in the USA, these sheets and sleeves are simple and yet so elegant. Mineral paper is made of 50% limestone and 50% polyethylene. Just tie with a simple bow to hold your presentation together. New Floral Flip Sheets (below) also made in the USA, are reversible 24″ pearlized BOPP cello film sheets. Available in pretty prints, brown kraft, or a round white doily design, each has a solid-color backing to look lovely from any angle! Our new Clear Floral Bouquet Sleeves are made in the USA from 1.2 mil BOPP cello film with a sealed bottom or 1.6 mil with an open bottom. 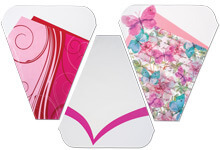 Available in a variety of sizes, these crystal-clear sleeves will protect delicate flowers without hiding them! 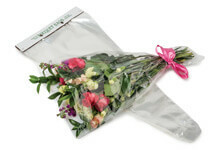 New Printed Floral Bouquet Sleeves are made in the USA from 1.2 mil BOPP cello film and help to enhance a bouquet of flowers with minimal work. These 4 x 18 x 17″ open-bottom designs are gorgeous for special occasions like Valentine’s Day, weddings, birthdays & Mother’s Day. 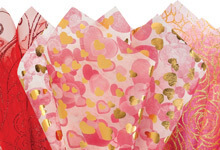 New Floral Fabric Sheets are a stylish way to wrap cut flowers. 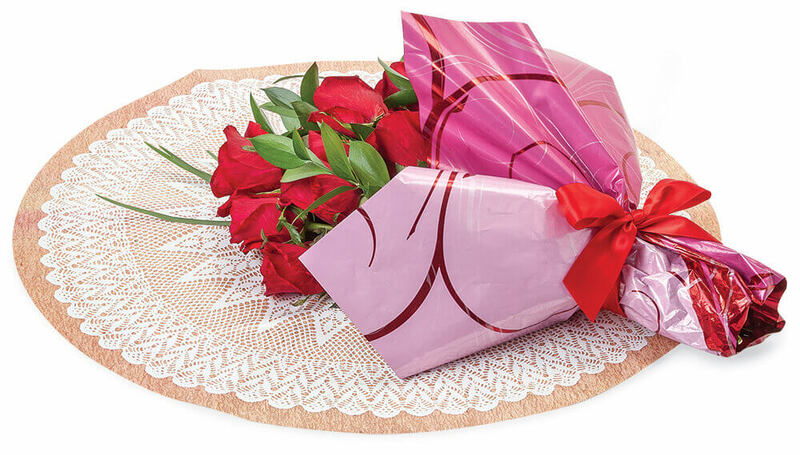 Made from non-woven fabric or organza material, these sheets are bulk-packed with a center X-cut for floral stems. Perfect for Valentine’s Day, Birthday’s, Mother’s Day and any special occasion! 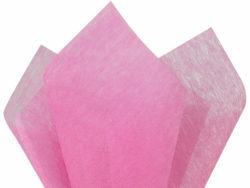 Waxed Floral Tissue Paper is an absolute must-have for florists! 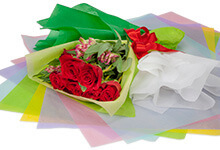 Made in the USA, this colorful waxed tissue resists moisture so your bouquets will be perfectly protected. All sheets are 18 x 24″ and contain 60% post-industrial recycled material, so they are eco-friendly as well as beautiful! Non-Woven Fiber Tissue is a Nashville Wraps Classic! This 20 x 26″ fabric-like color “tissue” is water-resistant and adds a beautiful, textured accent for flowers and gifts. It can also be used like regular tissue paper in gift bags or for wrapping fragile products. Choose your favorite floral wrap, add a pretty ribbon or twine and one of our Enclosure Cards, and your Valentine’s Day floral creations will turn heads wherever they go! 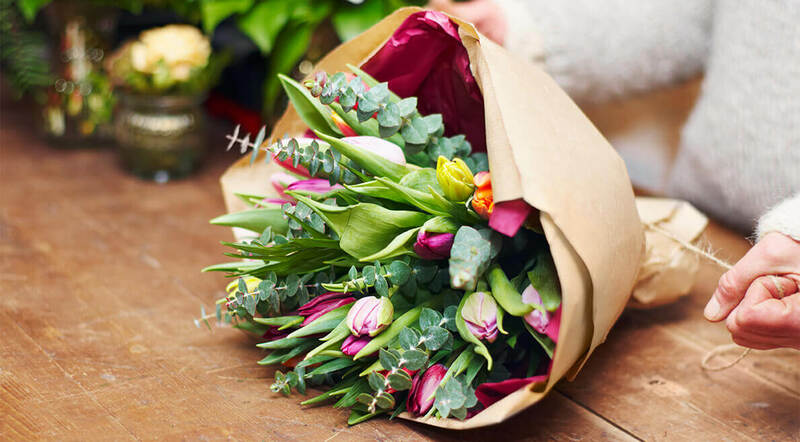 Click here to shop all Nashville Wraps Floral Supplies.